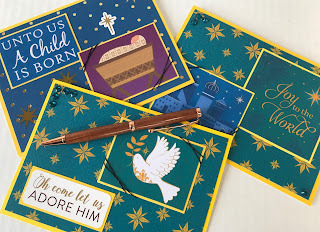 'Tis the season for making batches of Christmas cards - it's only 48 days until Christmas, you know. 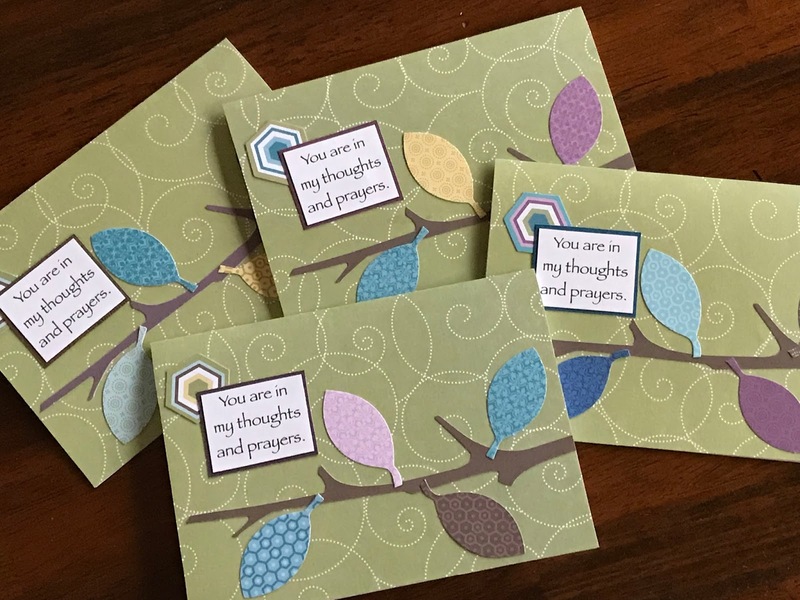 I love filling special orders for personalized cards. It's in those moments that I feel like I'm part of their celebration in some small way. At Christmas, it's even more special to be a part of the holiday season for families around the world. The first order of Christmas cards at Stuff From Trees was completed this weekend, and it was such a fun way to being the holiday months. I was given the number to make and two images: stars and angels. From there, I was able to let my imagination run wild. I love orders like that! If you're thinking about (for lack of a better word) mass-producing cards this year, here are just a few tips for getting started. 1. Try assembly-line style. Cut out all the pieces and have everything lined up in the order they'll go on the card. Then you can just work your way down the table and have a completed card at the end. 2. Or try attaching all of one piece to every card before moving on. If you have 12 cards like the tree cards pictured here, glue down all 12 tree branches. Then all four leaves on all 12 cards. Then... you get the idea. 3. Mix it up - Make three whole cards, then do assembly line for a while. Then make a couple of whole cards again. Just because you start one way doesn't mean you have to continue that way for the next six hours. That's no fun! Play around with what works best for you. Then send me pictures of the beautiful cards you're making this year.